The AHRC has announced a call for UK researchers to attend a workshop on ‘Cultural Heritage, Migration and Indian Diaspora’ in Ahmedabad, India on the 30-31st January 2019. Organised in partnership with the Indian Council for Historical Research (ICHR), the event will bring together academic experts from both countries to explore how the experiences of the Indian diaspora and migratory movements have shaped Indian cultural heritage, and the importance of this heritage to the sustainable development of India. A key aim of the workshop is to enable researchers from the UK and India to reflect on the achievements of the AHRC/ICHR programme so far as well as network and develop partnerships with a view to submitting proposals to a research networking call thereafter. Indian diaspora and cultural markets – How does the Indian diaspora contribute to cultural relations between India and the rest of the world? Digital technology as a bridge – How is digital technology changing the relationship/s between the Indian diaspora and cultural heritage? Cultural Heritage Transformations – Through the process of migration, what is gained, adapted and preserved in terms of tangible and intangible cultural heritage? How does cultural heritage change within the context of migration and what are the implications for the concepts of authenticity and integrity? Cultural heritage as a driver of migration -What are the push and pull factors between forms of cultural heritage and Indian migration? How does it influence and shape the process of migration? Resourcing migration – How can cultural heritage institutions better support the Indian diaspora and international researchers who study its associated processes and impacts? Identities and Migration – What is the relationship between cultural heritage and migration with regards to the formation of multiple identities and contested heritage? Applicants should have a particular research interest in the topics noted above and be able to articulate this in their expression of interest. The AHRC expects to support the attendance of around 20 UK-based researchers, with the ICHR identifying a similar number of Indian academics. The deadline is imminent – 12th Dec – but the application is just a 250 word short bio and a 500 word justification of your suitability to win a place via a simple online form. Categories: Events, Uncategorized | Tags: AHRC, India | Permalink. The AHRC have announced details of two international funding calls which will open over the coming month – details below courtesy of ‘Research beyond borders’. The fourth HERA (Humanities in the European Research Area) call is now launched for Humanities-led proposals addressing ‘Public Spaces: Cultures and Integration’, the theme text and a partner search tool is available on the HERA website.With co-funding from the European Commission, the total call budget will be approximately €20 million. Proposals can be up to €1 Million and must include four eligible researchers from four different countries involved in the call. 24 European Countries are involved including France for the first time. The full call is expected to launch on 24th August 2017, with a deadline on 24th October 2017. The AHRC are planning a webinar in early September. The full call is expected week commencing 4th September 2017, and will close at the end of November 2017. If you are interested in either of the opportunities above, please contact your Research Development Manager. Categories: Funding Opportunities | Tags: AHRC, Europe, HERA, India, Research | Permalink. 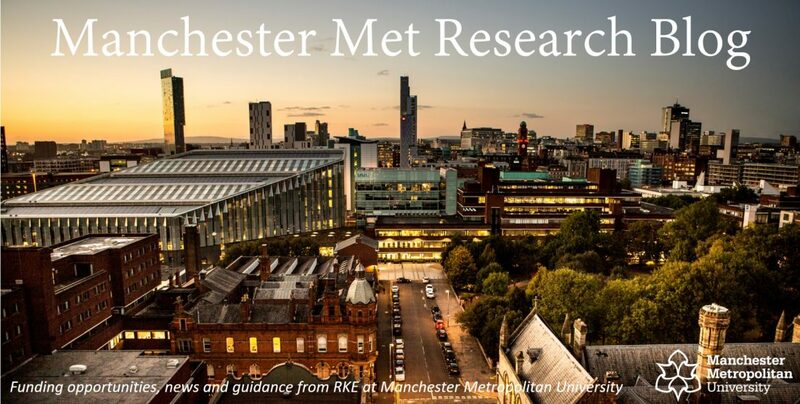 If you’re interested in applying for any of these opportunities then please do get in touch with the Research Development Team (researchapplications@mmu.ac.uk). As readers of the Blog will be aware, UK research funding is taking on a much more international flavour, with a number of new opportunities aligned to research which will have demonstrable benefits to countries receiving official development assistance (Ed – for those of you interested, there is a list of ODA recipient countries via the OECD website here). The Newton Fund is a key initiative in which UK funding bodies including the UK research councils, Innovate UK, British Council and academies and learned societies have partnered with funding agencies in target countries to support science and innovation partnerships. In some cases these are thematic, addressing a specific challenge area and in others they are more general capacity building activities. In all cases, the key driver is responding to the needs of the partner country and activities need to be ODA compliant (Ed – there are some helpful pointers on the Newton Fund website here, and colleagues in the Research Development Team can help you to think about whether your project ideas fit requirements). Categories: Funding Opportunities | Tags: Brazil, Egypt, India, Indonesia, Kenya, Malaysia, Mexico, Newton Fund, Philippines, South Africa, Thailand, Vietnam | Permalink. Categories: Funding Opportunities | Tags: Brazil, China, India, international, Malaysia, Mexico, Newton Fund, Research, South Africa, Thailand, Turkey | Permalink. The UK India Education Research Initiative, in collaboration with the Indian Department for Science and Technology and the Indian University Grants Commission, invites applications for its calls for research proposals under the e-partnership and research incubation strand. Awards range from £100,000 to £200,000 for three years per project. The deadline for submissions is Wednesday 5 October 2016. For more information, please visit UKIERI. In addition, UUKi will be holding a pre-submission workshop at Woburn House on from 10.00 – 12.00 Monday 26 September 2016. The workshop will provide attendees with an introduction and overview of UKIERI, which will focus on strand three, e-partnership and research incubation and an opportunity to pose questions on the open calls for research funding. If you have any questions please contact Joseph Taylor. Categories: Funding Opportunities, Researchers | Tags: Arts, Collaboration, Humanities, India, Science | Permalink. The Commission have announced that an information day for the 2017 Call for Proposals for Societal Challenge 1 – Health, demographic change and wellbeing – will take place in Brussels on 8 July 2016. The calls will have deadlines in April 2017 and will combine information about the Call with an opportunity to network with other potential participants. Registration and further details will be available via the event website in the near future. The Indian Department for Biotechnology (DBT) has announced that it will make funding available to fund the participation of Indian researchers in selected calls in 2016 and 17. Full details of are available via the DBT’s website. Categories: Horizon 2020, Uncategorized | Tags: Europe, Health, Horizon 2020, India, Research | Permalink. The Arts and Humanities Research Council (AHRC) and Indian Council for Historical Research (ICHR) are pleased to announce a joint call for Research Networking projects addressing the theme of ‘Cultural Heritage and Rapid Urbanisation in India’. Funding of between £30,000-£45,000 per project for UK applicants is available on a full economic cost (fEC) basis with AHRC meeting 80% of the fEC. Matched resources are available from ICHR for Indian applicants. Awards should have a duration of up to 6 months and will be expected to start between 1st December 2015 and 1st February 2016. It is expected that 4-5 awards will be made under this call. 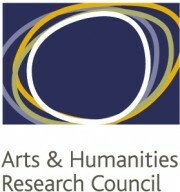 Categories: Funding Opportunities | Tags: AHRC, Humanities, India, Networking | Permalink.